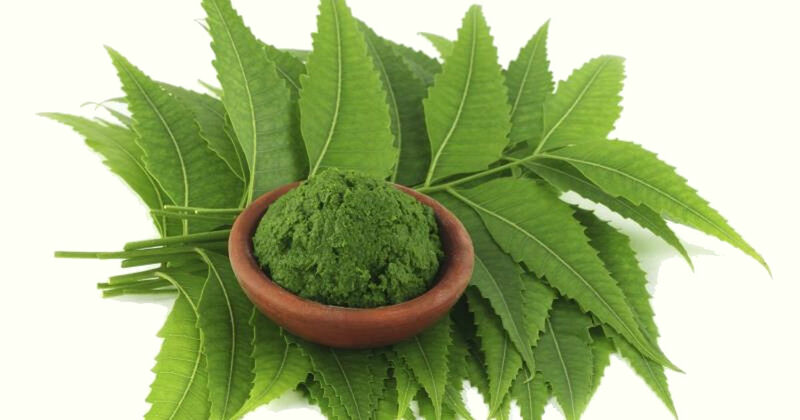 Neem is respected by Ayurvedic practitioners for its ability to support healthy skin. Packed with antioxidants and essential fatty acids, neem calms, nourishes and moisturizes even the most sensitive skin. 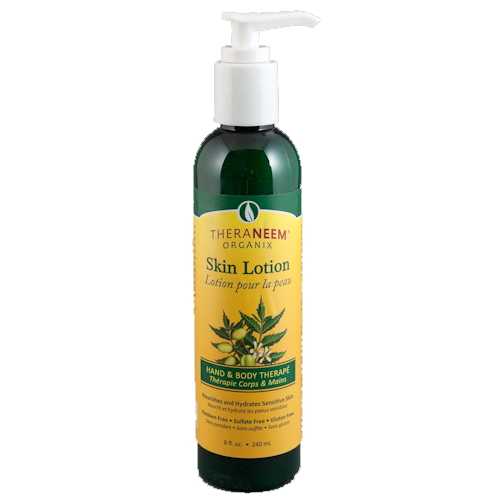 TheraNeem Organix Lotion is an excellent addition to your daily skin care regimen. Apply to hands and body as often as desired. Smells wonderful and is just so soothing for dry and/or inflamed skin. So difficult to find this sort of handy dispenser too. Repels insects - I am very prone to attention from midges and mossies and have much less trouble if i use this on bare legs and forehead before going out around dusk. Unlike other insect repellants it does not leave a shiney film and smells wonderful so it is not so obvious to humans that it have it on. It's a nice lotion except for the smell. I'm not entirely sure it is for me as it is not just Neem but has added ingredients to which I seem slightly sensitive. I have been using this for many years now. It is the only cream/lotion that I use, and it is good for healing any cuts/scratches, as well as keeping my skin happy and healthy. Great for keeping the skin moist in sunshine when out walking all day too. It is not greasy at all, unlike most (?All) other creams/lotions. Plus the service is excellent, more than 5 stars. I bought this lotion after months of having an irritating eczema outbreak on my back and belly that just wasn't shifting. After using this cream for 3 days there was a dramatic improvement and as I continued to use the cream, my skin has totally cleared up. I will definitely continue to use these products. I was introduced to Gentle Therapae Neem Shampoo and conditioner several years ago (after getting advice from the friendly team) after severe eczema in my scalp and hair loss (50%). Literally after one week of use my scalp cleared completely, I've never had a dry scalp since and my hair has grown back to be bouncy and healthy. These products have saved me!